We’re still deep in the throes of winter here in the Midwest. Spring seems like an impossible dream. But for the members of The Baseball Project—major-league sports nerds from better-known bands Young Fresh Fellows, Dream Syndicate, R.E.M., and Golden Smog—Opening Day is just around the corner. Their second album, Vol. 2: High and Inside, picks up right where Vol. 1 left off, firing power chords like fastballs, and tossing in a few musical changeups to keep listeners off balance. As they did on 2009’s debut album, Scott McCaughey (Young Fresh Fellows) and Steve Wynn (Dream Syndicate) split the songwriting duties. They also split the difference between rueful reminiscences about heroes of the past and statistics-obsessed odes to their current favorite teams. 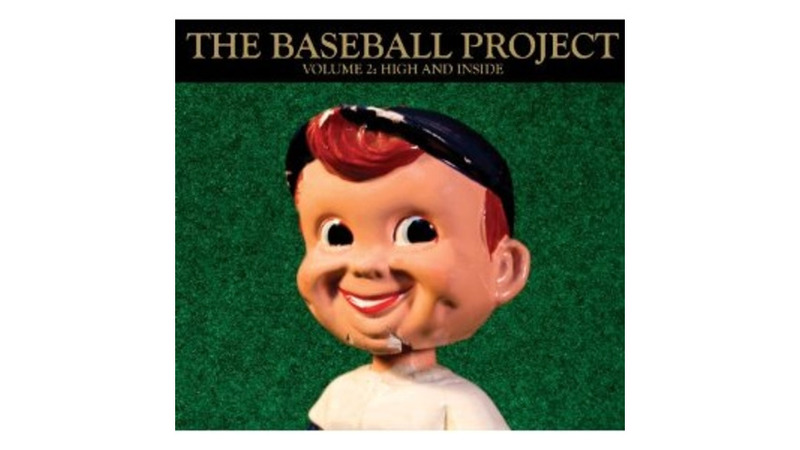 Make no mistake, this is music for serious baseball fans, and it may be too willfully pedantic for those who care nothing about OBP and K/9IP metrics. That said, it’s sure a whole lot of fun for certified baseball junkies. “Ichiro Goes to the Moon” celebrates the Seattle Mariners’ Japanese superstar with unaccountably goofy surf rock. “Pete Rose Way” tips its cap to the Cincinnati Reds’ icon with dobro and gentle country-rock. Pinch hitter Craig Finn from The Hold Steady declaims his love for the Minnesota Twins on “Don’t Call Them Twinkies.” And on “Fair Weather Fans,” the band borrows a classic Thin Lizzy guitar riff to propel the tale of loving their hometown heroes (and each of the four band members gets a chance to namecheck their hometown teams) through good times and bad. As a lifelong fan of the Cleveland Indians, still waiting for my first World Series title, the sentiments are both bittersweet and welcome. This is celebratory music for a game and the men who play it, and it’s delightfully devoted and partisan, as the best fans always are. There’s a melancholic streak that wafts through the album just the same, the aural equivalent of the smell of stale popcorn and beer long after the ballpark has emptied out. “1976” remembers recently deceased Detroit Tigers’ phenom Mark “The Bird” Fidrych, and comments poignantly on the deleterious effects of passing time. “Tony (Boston’s Chosen Son)” toasts Tony Conigliaro, at one time the greatest young slugger in the game, but felled by an errant fastball in the prime of his career. And closer “Here Lies Carl Mays” is both elegiac and heartbreaking as it recounts the tale of the only pitcher in major league baseball who ever killed a man with a pitch, and who lived uneasily with the memory for the rest of his life. Irreverent, funny, and ruefully sad, High and Inside will not appeal to everyone. But if the intersection of baseball and rock ‘n’ roll” is meaningful to you, it’s a stellar reminder of why the game and the power chords still matter.